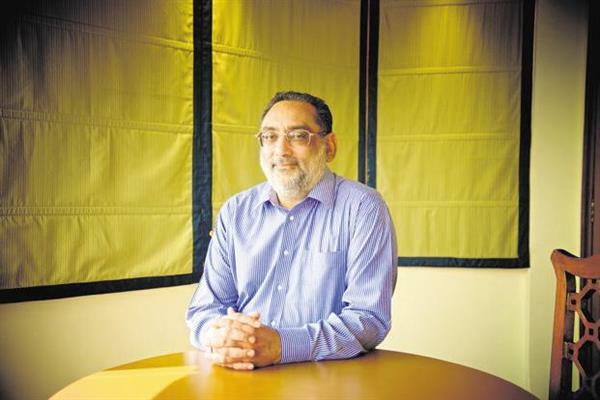 Srinagar, Dec 06 (KNS): Former finance minister Haseeb Drabu has resigned from the Peoples Democratic Party (PDP). Drabu has shot off a letter of resignation to PDP president, Mehbooba Mufti. “It has been exactly four and a half years since I joined the J&K PDP. I may not have enjoyed every moment of it, but when I look back at it, it has been an enriching and enlightening association. During this sojourn, I successfully contested an election under the political and ideological banner of PDP, became a Member of the Legislative Assembly of J&K and was inducted into the cabinet. As such, in this brief period, I got a full flavour of politics, in its fascinating range from principles, pledges, to perfidies! This journey has had its fair share of highs and lows, successes and failures, appreciation and condemnation, contentment and frustrations, and agreement and disagreements. There are many things that I am thankful for, many more I am grateful for and yet much more that I am distressed about. A slice of full life in itself as it were! My legislative engagement has prematurely come to an end with the dissolution of the state assembly by the Governor. I don’t agree with the timing and manner in which it was done. It doesn’t credit either the democratic system or its custodian participants with any glory whatsoever. Be that as it may, the time has come for me to bid adieu! This had been coming for a while now. Even though I have not be a dissident — you are aware I had resigned from the cabinet, assembly and party nearly two years ago which you didn’t accept — I have disengaged myself from party affairs for quite some time now. I didn’t precipitate the matter because I believe it is ethically and morally wrong to leave the party under whose aegis one has contested and won the seat in the Legislative assembly. Now that it is over, I am hereby resigning from the J&K PDP. As I do so, I do want to remember Mufti sahib who sought me out and got me into politics. Working with him made me realise that politics is not the “last refuge of scoundrels”! Occasionally, people with intellectual integrity, personal honesty and moral courage can also be found here. I was exceptionally lucky to have worked with him. I just hope that when history judges Mufti sahib and his decision to ally with the BJP, it does so in the context and with the complexity that it deserves.